Those of us who work in SEO have to use an endless number of tools to compile and analyze data in order to extract the best information. 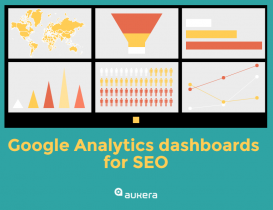 Some of those tools are provided by Google, such as the inestimable Keyword Planner and, of course, Analytics. 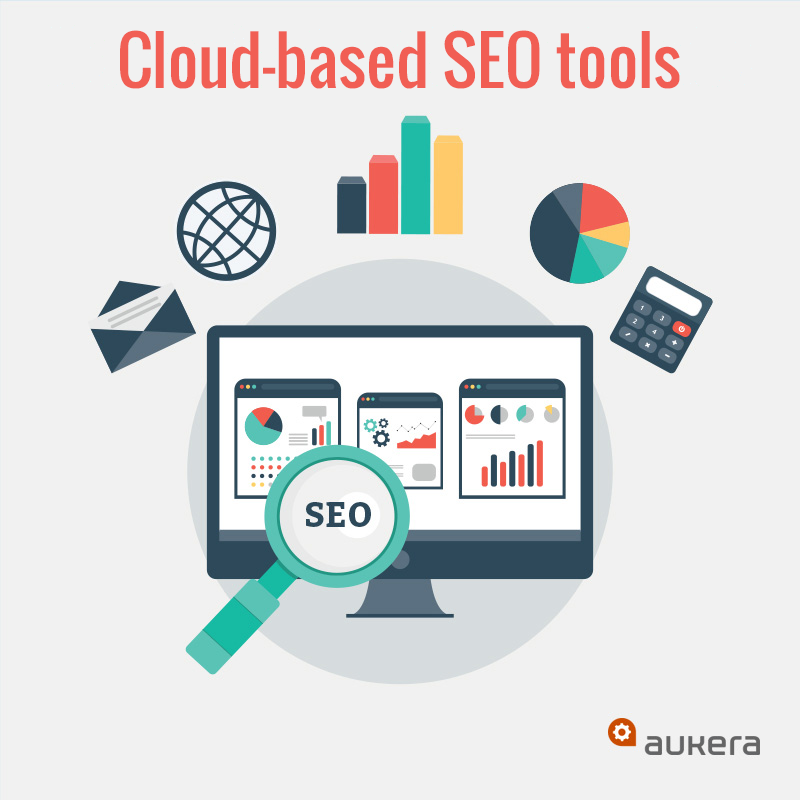 However, there are many other companies and professionals that have developed tools designed to help us with SEO, generally via the cloud-based SaaS (Software as a Service) model. Let me make it clear at this point that none of the tools mentioned in this post are “sponsored”, nor do we have any type of commercial relationship with the developer. We’re simply users, like you. Some tools are created with only a narrow purpose. 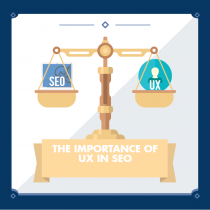 They are the outcome of the development of a small, practical application that someone realized would be of help to many users, in this instance to many SEOs. One example of SaaS SEO is SEMrush, a platform that was created in order to research keywords beyond our particular domain. It came about because although we can now (to a greater or lesser extent) control the terms with which our users can find us, thanks to Analytics (and now Search Console), we can’t do the same for the websites of the competition. So, certain tools such as SEMrush decided to do their own search crawls and store the results on their own databases. This makes it possible to quickly ascertain the positioning terms, first paid-for and then organic, for any domain. However, if you’re not familiar with this tool, don’t get too excited: the results are partial (the tool doesn’t find all of the searches), there are “gaps” for certain domains and it’s oriented more towards searches from the American market. Still, despite these flaws, it’s a good utility. SEMrush is also a clear example of SaaS SEO that tries to do everything. The company developed a tool for key search terms, saw that it worked well and achieved a healthy number of users, and then thought: if we add functionalities that are of interest to these users, we can win their loyalty and also charge them a bit more. So it then implemented functionalities for web crawls (not just SERPs), studying the links between sites, comparisons of all kinds, social signals, on-page optimization and internal linking, etc. Personally, I don’t like this approach. I’m one of those who believe that a jack of all trades is a master of none, and that it’s preferable to do a few things well rather than a lot of things badly. The snag is that we have to buy a license from SEMrush to study keywords, and another one from Ahrefs to study backlinks, despite the fact that both tools claim to be able to do everything. Still, each to their own, and the combination of both resources offers me more valuable information. But we can already see where Sistrix will end up. It’s starting to remind me very much of the Searchmetrics project, which is better known in this part of Europe for its annual study of SEO factors than for its tool, which didn’t make much of an impression here despite being pretty decent. So that’s the story of how the SaaS SEOs had a rush of blood to the head and tried to become the “definitive service” by attempting to do everything. Another pattern that’s often repeated with this type of software, and which I’m sure is familiar to you: the typical SEO function that we don’t seem to want to pay for and which “someone will always offer for free”. Here, my example is Ubersuggest, a tool that’s as old as Methuselah and which certain wannabe gurus keep “discovering” and hyping up in their talks from time to time (stay strong, wannabe gurus, your time will come). 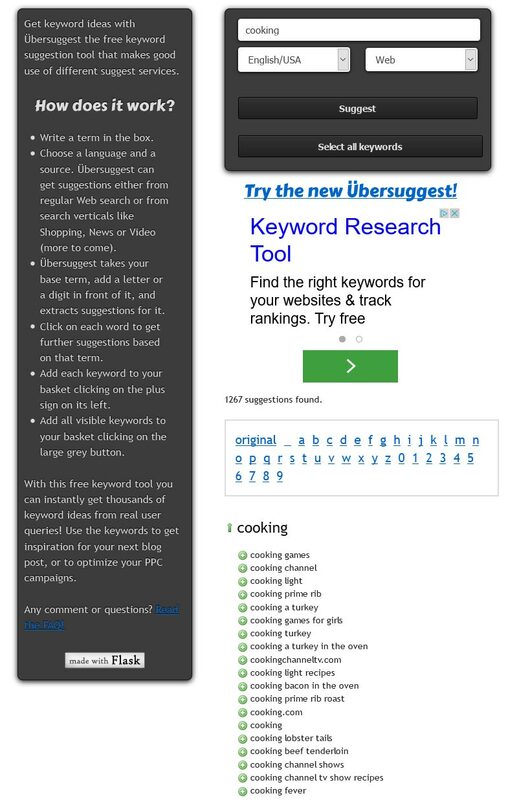 If you haven’t heard of it, Ubersuggest was created in the wake of Google Suggest. 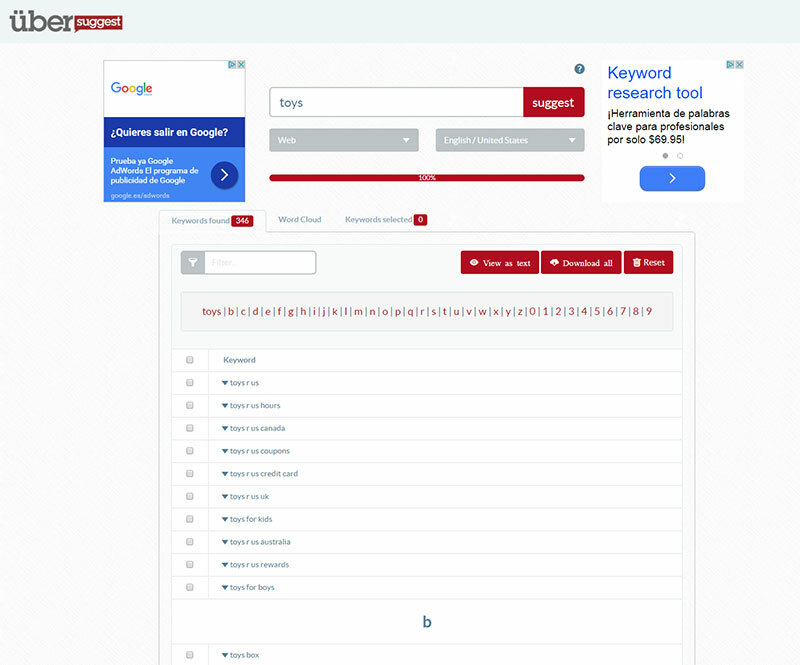 One day somebody realized that the suggestions Google gives when we start writing in the search box are of significant interest in terms of keyword research, so they developed this tool. It’s very unpretentious and is designed to offer a full list of the suggestions provided by Google in relation to a specific term, thereby giving us a better understanding of how users search for things. Seems simple, right? A short while ago its design was updated (about time) and it appears to have succumbed to the trend of “.io” domain suffixes (previously it was a .org) that have become popular amongst tools of this type. At this point, some genius always thinks: hey, if I did the same thing, but with a better design and chucked in an extra function, it would fly off the shelves! 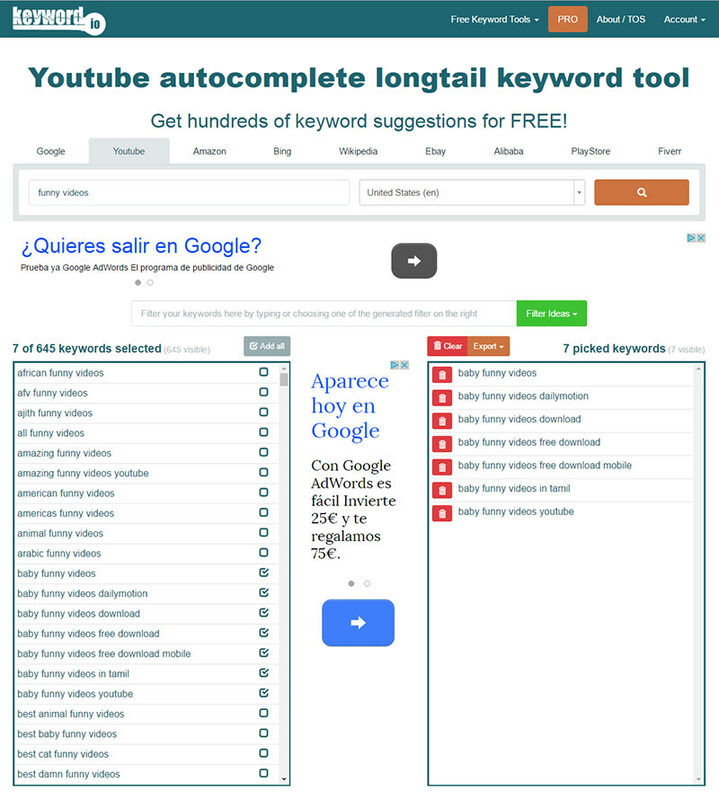 Thus are born the imitator-improvers, such as KeywordTool.io, which has a nicer interface than the original Ubersuggest and a more thoughtful selection of options (YouTube, Bing, Amazon, etc.). There’s always someone willing to embrace those users looking for free SaaS SEO. 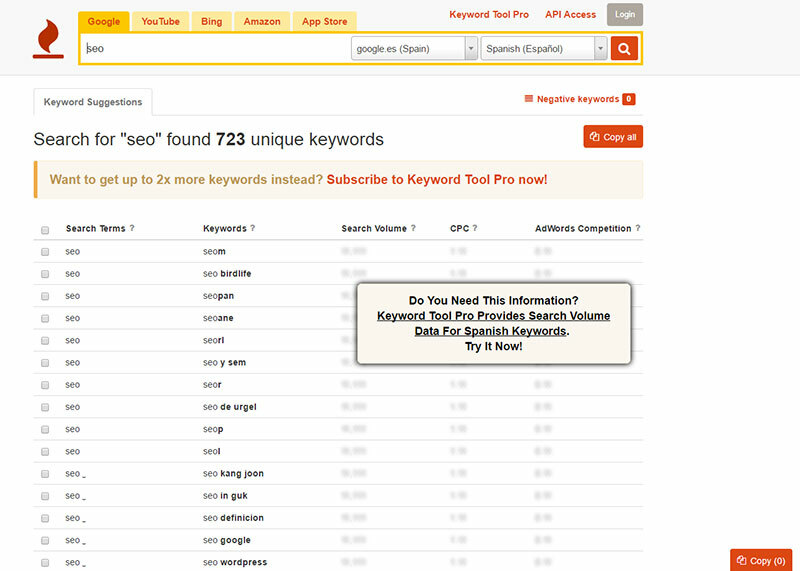 I suppose this is what led to the creation of Keyword.io, an excellent tool much like those mentioned above. We could think of it as an “Uber 3.0”. However, Keyword.io has sent a newsletter to its users informing them of the benefits of the new functionalities offered by its paid-for Premium version. Like the Propellerheads and Shirley Bassey said, “it’s all just a little bit of history repeating itself” – and that’s the way it’ll always be! 🙂 This eternally vicious circle will only end when one of the tools that try to do everything also incorporates these functionalities. Paradoxical, isn’t it? So that’s the story of how we never pay for certain services that keep on respawning in accordance with the model of “first we’ll attract users and then we’ll try to monetize the service”. We’ve all had one of those clients who play at being an SEO. First they buy a load of domains as part of what they consider to be a “SEO strategy” (don’t look at me like that; someone had to say it) and then they use free tools (although lately they’ve been getting cocky and some are even paying for the Pro version) to produce their own “SEO reports”. Honestly, it’s funny, but it gets on my nerves a bit, too. That’s the thing about SaaS SEO tools, and ultimately the internet in general: the barriers to entry are very low, there tends to be a lot of information and tutorials available online, and using the tools can even be fun if you like technology. However, the same caveat that applies to social networks also applies here: you get what you pay for, and putting these kinds of tasks in the hands of an amateur can be more dangerous than putting a knife in the hands of a monkey. A construction engineer who reckons he can do his company’s SEO would most likely have a fit if I told him how to build a bridge, right? The continued absence of any IT training on the part of the chief decision-makers at most firms. The lack of a digital culture at companies in general, which means that certain employees take on roles they’re not cut out for. The minimal barriers to entry, free (and Freemium) tools and the idea that “internet = free”. The social/game aspect that’s still associated with the internet in the workplace. The good news is that, little by little, our clients are becoming increasingly more savvy. Some sectors are refreshed faster than others, but the generational shift is inexorably reaching every department and sector. The future looks very bright. Tell you how to do the SEO (very often they’ll try to make you use absurd keywords for positioning). Question the cost of your services and/or try to haggle (they demand the Earth but want to pay next to nothing). Take up too much of your time and want to have meetings every other day (they need to understand that reports take time). In any case, we shouldn’t forget that we need clients in order to survive. We just need to choose them well and then give them all the care and attention they deserve. The fact that a client may be familiar with SaaS SEO shouldn’t scare us; in fact, we should even see it as a positive. The more a “good” client knows about our industry, the more they’ll value our work. If they’re contacting us, it’s because they’ve tried and failed to achieve their online objectives. But without a doubt, we’re used to such a frenetic pace. At least the monthly payment models mean we don’t have to commit ourselves long-term and can use various different tools in our SEO campaigns and audits. I’ve already mentioned that I personally prefer to use several tools in combination in order to obtain richer information. If you want a package that provides a comprehensive service, then Sistrix is undoubtedly the tool for you. For now, the future of SaaS SEO (or, if you’ll allow me to coin a new phrase, “SSaaS”) resembles the present: some larger tools struggling to encompass a comprehensive service, and some more modest tools for small functionalities struggling to find a way to monetize themselves. The only change on the horizon that I’ll risk predicting is that of the growth of Google’s own SEO-oriented tools. As a client of ours said recently, “SEO is fashionable right now”, and its reach is expanding to include more people. Consequently, Google will be interested in expanding and improving tools that are already essential right now, such as Search Console (aka Webmaster Tools).